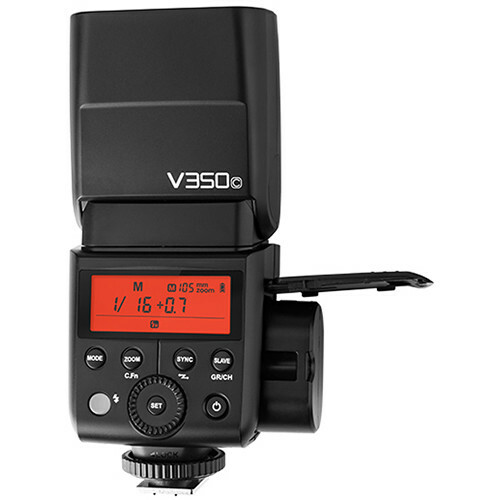 Shenzhen based flash manufacturer Godox has introduced a smaller variant of the Godox Ving V860II, called the Ving V350. For people familiar with Godox’s line-up, the V350 might not seem so new because it shares the design of the earlier-released Thinklite TT350, albeit with one big difference. 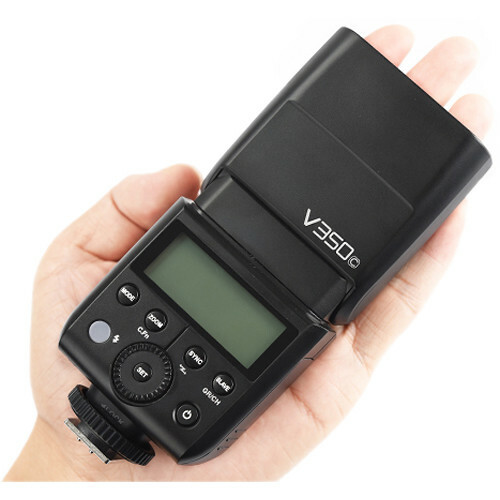 Inside the V350 we find a lithium-ion battery (7.2V/2000mAh) which offers a recycle time of 1.7 seconds at full power and allows more than 500 full-power flashes. Compared to the AA-battery-powered TT350 the recycle time is improved by 0.5 seconds and the AA batteries in the TT350 ‘only’ allow you to fire 210 full power flashes. In addition to the performance boost, the lithium-ion battery also eliminates the hassle normally associated with AA-batteries. Besides the different power source barely anything has changed between the TT350 and the V350. We still find the integrated wireless transceiver inside which can act as both a master or a slave. 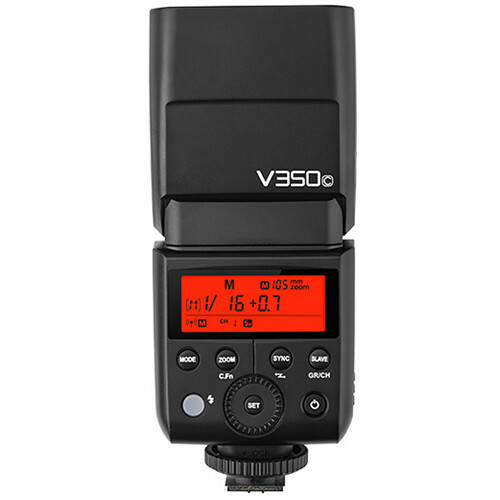 This means that the V350 can be wirelessly triggered by all other 2.4 GHz enabled flashes from Godox, but also that it can trigger other flashes. 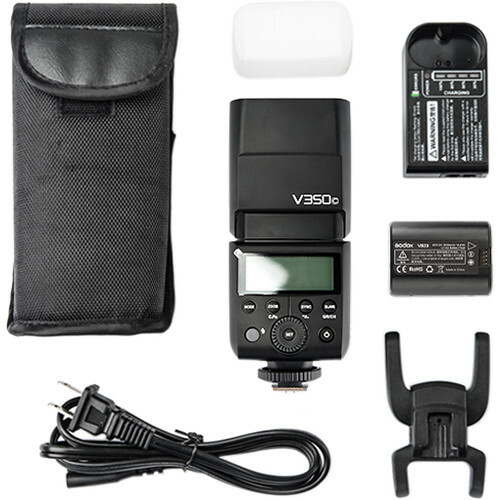 The latter is primarily useful, because of the small size the V350 is especially interesting as on-camera flash. The Godox VING V350 is available now for US$179. In total there are five different versions for sale, each of which supports a different camera brand.